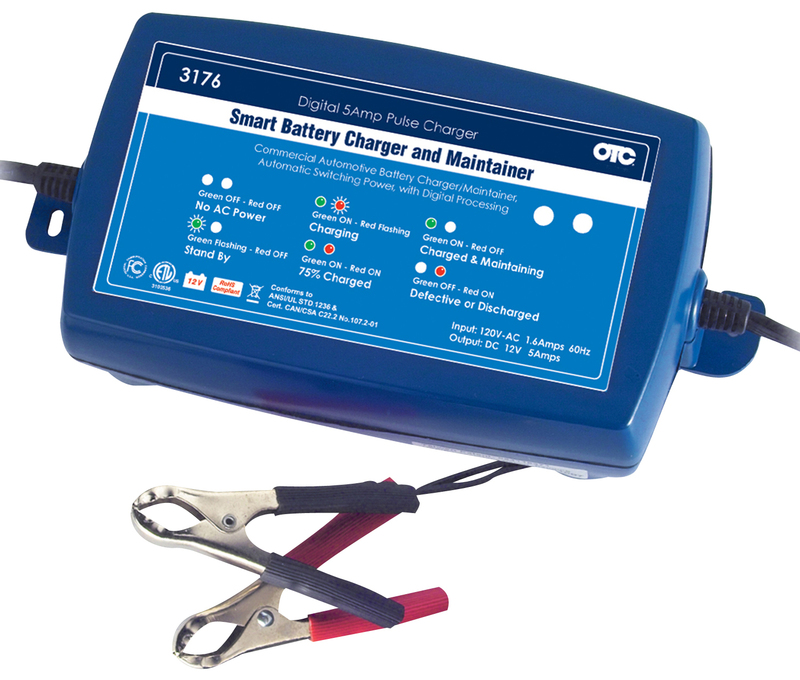 The 3176 utilizes a 5-stage automatic 5 amp charging system to quickly and efficiently charge a 12V battery while also extending its life. The automatic power switch feature will give the technician complete confidence that they are not damaging the battery by automatically switching to float mode once the battery is completely charged. This switching technology also helps to restore batteries that are slightly sulfated.